Don’t worry, I’m done talking about bread for now. Bun there, doughn that. What I did want to mention is, how cool it was to spend five days in Mt. Vernon, a town barely 17 miles from our ferry terminal. I’ve never had a “staycation”; now I want more. 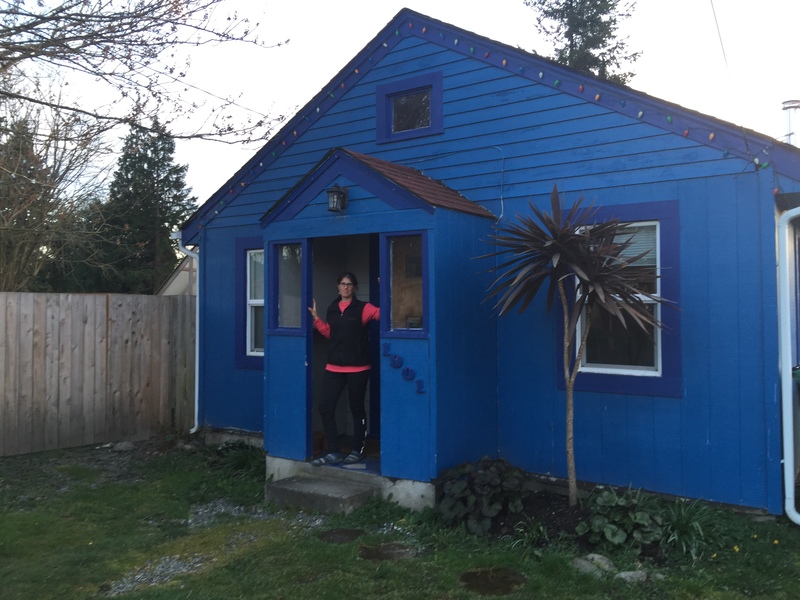 To avoid going back and forth on the ferry each day, the Mate proposed renting an Air B ‘n’ B place so we could do our own cooking. He planned to spend the days exploring via foot and bike while I baked. So we got this cute lil’ ol’ bungalow on a street of cute lil’ ol’ bungalows. Mt. 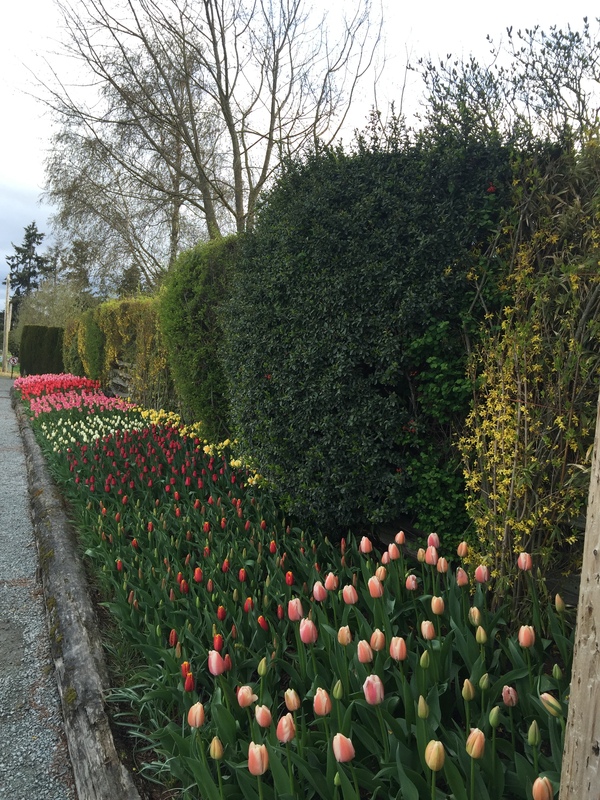 Vernon is famous for its bulb fields: daffodils, iris, and especially tulips. 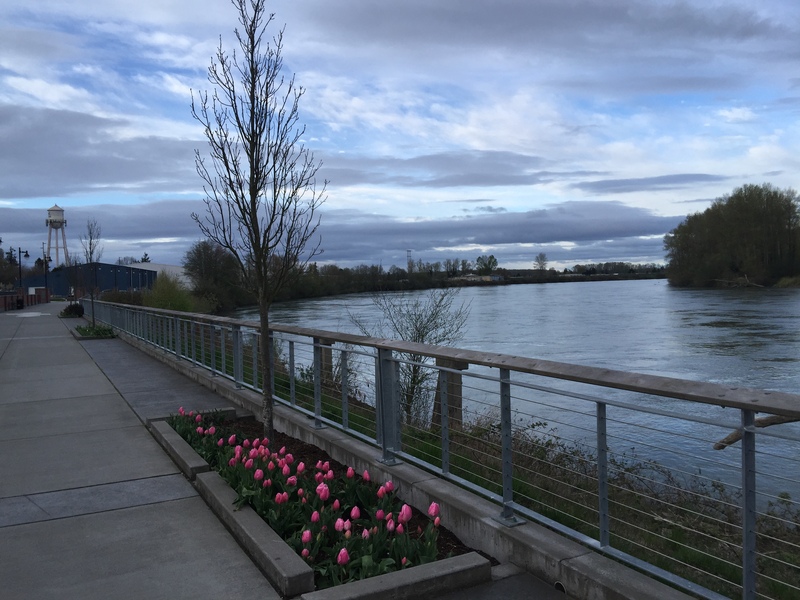 Every morning I rode to class, crossing the Skagit River on a bridge (with a scary-narrow sidewalk). The weather was pretty grey and windy each day, but that’s just April here. Who needs sunshine when you have tulips? In the name of exploration, I took different routes to the Bread Lab each day, but of course one of them took me past the tulip fields. 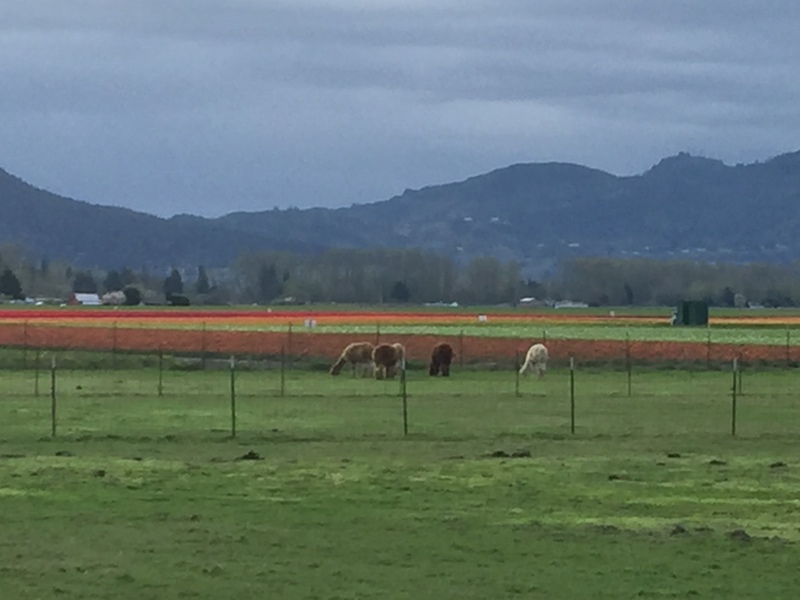 Since they weren’t open for visitors yet and I didn’t want to trespass, I settled for this shot of alpacas with a tulip backdrop. So this isn’t a travelogue post about the delightful town of Mt. Vernon–though we did find it delightful. I didn’t visit stores, poke my nose into quaint corners, or even take very many pictures. What I did: appreciated how simpatico it felt to be in, essentially, the next town over. Like being invited over to the home of a neighbor you don’t know well, and finding out you have the same taste in food, decor, and books. This is simply an ode to the Staycation. For those of you who’ve already discovered that delight–good on ya! Care to share? This entry was posted in Wing's Words and tagged baking, King Arthur baking school, Mt. 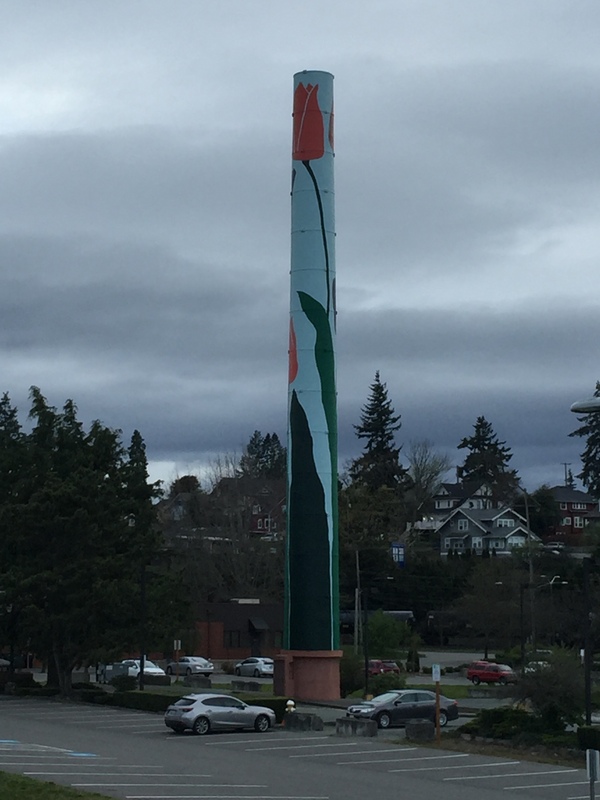 Vernon, Skagit Valley, skagit valley food coop, staycation, travel, tulip festival, tulips by gretchenwing. Bookmark the permalink.